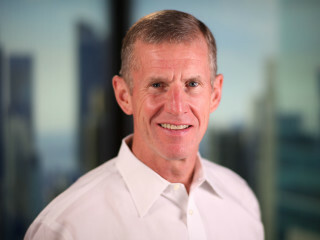 When General Stanley McChrystal took command of the Joint Special Operations Task Force in Iraq in 2004, he quickly realized that conventional military tactics were failing. Al Qaeda in Iraq was a decentralized network that could move quickly and strike ruthlessly, then seemingly vanish into the local population. The allied forces had a huge advantage in numbers, equipment, and training—but none of that seemed to matter. McChrystal and his colleagues discarded a century of conventional wisdom and remade the Task Force, in the midst of a grueling war, into something new: a network that combined extremely transparent communication with decentralized decision-making authority. The Task Force became a “team of teams”—faster, flatter, more flexible—and beat back Al Qaeda.